2x3 is a stylish oval corner bath with an hexagonal exterior surround. 2x3 is perfect for bathrooms where space maybe an issue as it fits neatly into the corner of the room providing that extra much needed space. 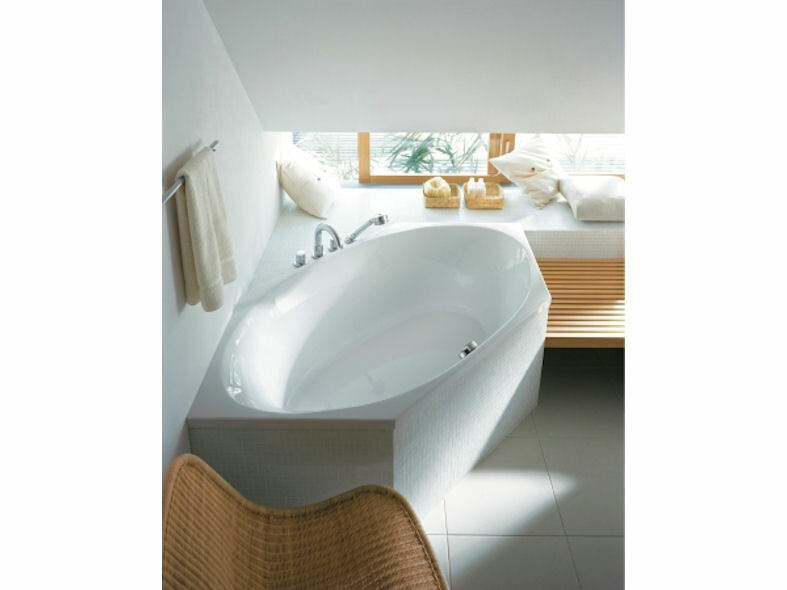 The bathtub itself has a minimal rim and maximum interior bathing space allowing you to completely relax and unwind. Duravit's 2x3 is also also comes with the option of an integrated whirl system.